Calcium and Chlorine and Fluoride, oh my! A lot of naturally and unnaturally occurring minerals can be found in your drinking water and manage to get by fairly unnoticed. 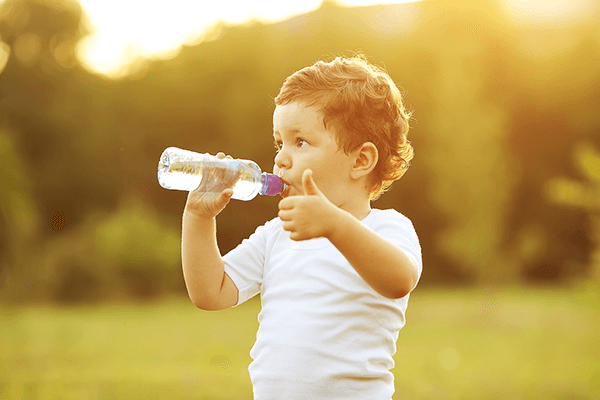 Many companies that produce and sell clean, drinkable water have even taken to adding certain chemicals to improve the water’s taste, look, and viability. While all of these minerals and chemicals have undergone extensive research to make sure they’re not dangerous for human consumption, there are of course pros and cons for anything we put into our bodies. With hundreds of companies to choose from, all boasting about having the purest, most naturally clean water, it’s tough to distinguish what is actually the best for our health and well-being. Some people refuse to drink anything but mineral or alkaline water while others are whole-hearted supporters of simply, inexpensive tap water. The argument all comes down to what’s really in your water. 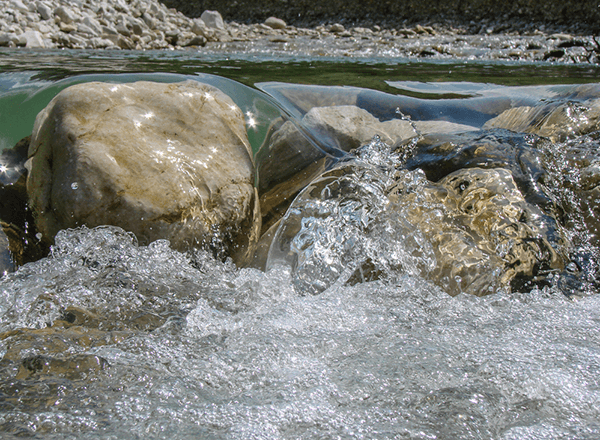 Here’s a quick look at the pros and cons of each mineral or chemical and what you can expect to find in different types of water. Pros – It’s no secret that calcium (and magnesium, which is generally found right alongside calcium at most sources) strengthens your bones and helps lower cholesterol, but by extension it also helps protect against cardiovascular diseases. Cons – Calcium in water used for washing and showering can lead to dry, irritable skin, which also your pores will be enlarged and more susceptible to developing acne. Calcium will also cause mineral buildups around your showerhead and faucets and may cling to your dishes even after washing them with soap. Pros – Fluoride is generally added to water by producers at the end of distillation rather than occurring naturally. Similar to the substance in toothpaste, fluoride helps prevent tooth decay and rot. Cons – While fluoride does prevent tooth decay and help build up enamel, this is only successful when applied topically (like in toothpaste). If ingested in large quantities over time, fluoride can actually weaken bone strength and negatively affect your teeth. Luckily, there are fairly inexpensive filters you can buy that specifically target fluoride and remove it from your drinking water. Pros – Chlorine is extremely successful at killing the harmful bacteria and viruses often found in natural water. These germs could have serious negative effects on your health and could lead to symptoms similar to that of the flu. Cons – The taste, for one thing. But apart from that, some studies have shown that there is a positive correlation between the intake of chlorine and the chance of being diagnosed with cancer. However, you would have to ingest large amounts of chlorine for this to be likely. Tap water is often referred to as ‘hard water’, meaning it naturally contains a generous amount of calcium, magnesium, and sodium. The amount of calcium usually found in tap water can be the reason your water looks white or murky when you first start running your tap. Tap water is not necessarily harmful for you to drink on a regular basis, but there is a slightly higher chance of bacteria and other viruses making it into your glass. pH level: = 7, very neutral. Most of the bottled water you see around the grocery store comes from underground of spring sources. Unlike water taken from surface sources such as lakes or reservoirs, spring water has noticeably fewer traces of minerals such as calcium and magnesium. However, through the distillation and bottling processes, producers will add small but effective amounts chlorine and fluoride. pH level: -7, more acidic. 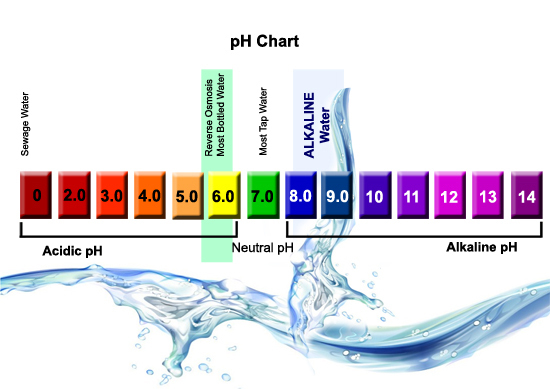 Alkaline water is similar to tap water in that it contains a high level of calcium and magnesium, but has less sodium and more potassium and bicarbonate. This makes the water less acidic than spring water and is therefore a good source for balancing out the acidity in our bodies. While we are naturally pretty good at balancing our internal acidity, the food we eat has become more and more acidic with the higher rate of sodium present in our diet. pH level: +7, more basic. Mineral water contains up to 4x the amount of calcium and magnesium found in regular tap water – it’s basically alkaline water on steroids. 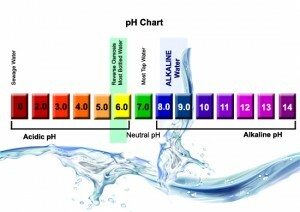 Similar to alkaline water, mineral water is extremely effective in balancing your body’s acidity levels. However, this a substance so high in minerals it’s important to counterbalance it with an appropriate diet, or to alternate between other water sources as well. pH level: +8, very basic.